About - Michelle A. Roberts, M.A. 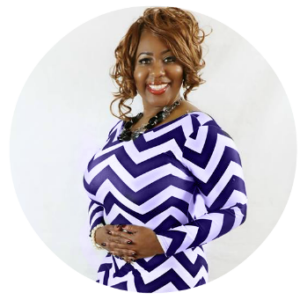 Michelle A. Roberts, is a professional speaker & published Author. She specializes in training and encouraging Women that they are overcomers, and can comeback from any challenge. Ms. Roberts is a member of the American Business Women’s Association, Airport Charter Chapter and National Coalition of 100 Black Women, Mecca Chapter. Ms. Robert’s professional accomplishments are many, but nothing drives her more than her passion for God and His people. She works diligently to communicate that passion into the urban community. Michelle Roberts is an awesome author, speaker and coach. She is an Amazon Best Selling Author who has written several books to uplift, give instruction and motivate. She is a prolific speaker who engages her audience with persuasive substance. She coaches her clients with confidence, confidentiality and integrity. Michelle is a great person all around. If you are seeking a powerful speaker or a credible coach, I highly recommend Michelle for your choice. Work With Dating Strategist Michelle A. Roberts Click Here! >Last Minute Traveler: How Procrastination Can Save You Money! How Do You Attract The Right Person? Dating After 50 Is Not So Bad! Jumping back into the dating scene can be daunting but Michelle provides a few tips to help in this FREE DOWNLOAD!